So I turned 40 earlier this week. I took the day off of work to play hooky with the wife and go out for a nice lunch and some afternoon shopping. I had prepared her ahead of time that I was thinking that a watch of my birthday would be a great way to celebrate the milestone. She does't appreciate the watch habit but was willing to indulge me on my special day. We were at a nice Rolex AD in Oakbrook, IL and they had plenty of goodies in stock. 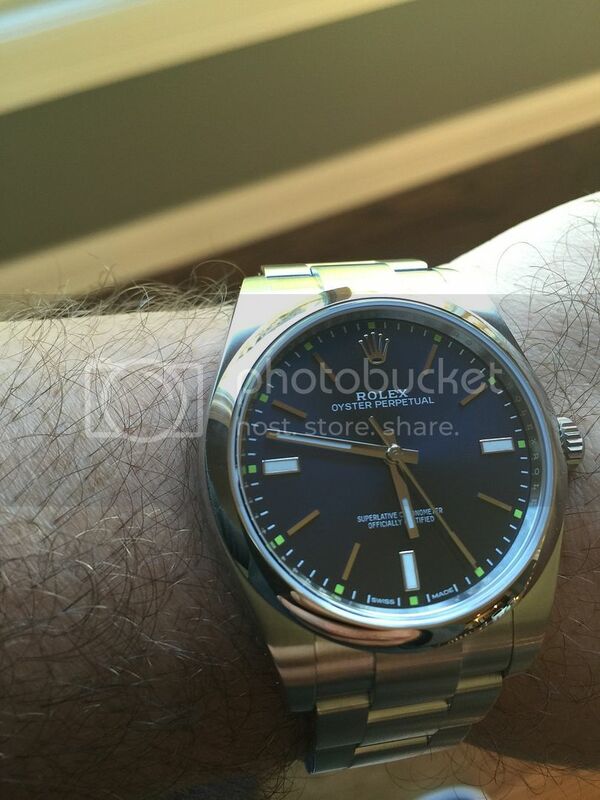 I was really interested in the new OP 39mm and they had all three colors to look at. 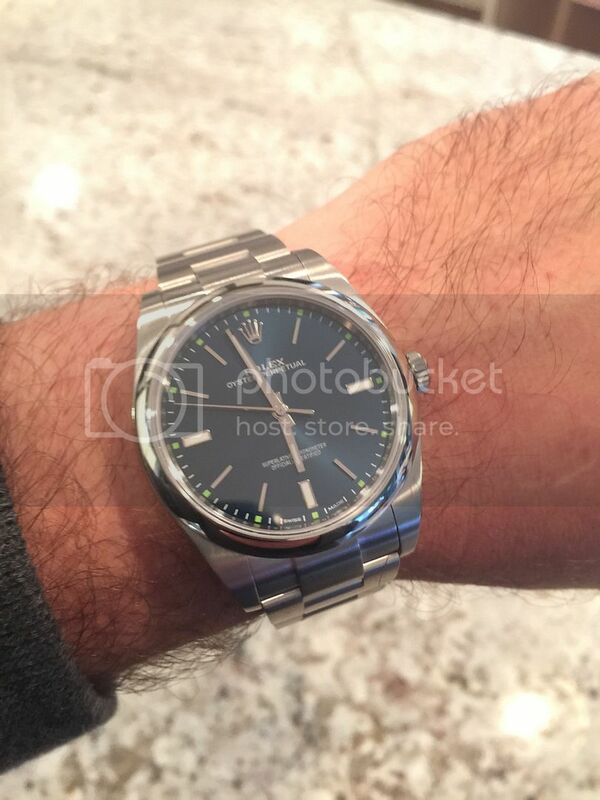 The wife didn't flinch when we approached the Rolex counter and she actually really liked the blue dial version.I don't know if I was in shock by her immediate support to buy the watch or it was the green dots that threw me but I couldn't pull the trigger. We went home and I thought about it for a few more days. I decided that since my dad has a blue dial DJ and my brother has a blue dial Air King that I should get a blue dial for my first Rolex. After some communication with the salesperson who helped me on my birthday I arranged an afternoon trip today and walked out with my first Rolex. Here's a few quick and dirty pictures, I couldn't be happier. Next Topic: L'Shanah Tovah! A Good and Sweet year to all !